Espejo de Tarapacá is a 300MW hydroelectric dam project to be constructed by Valhalla in association with Foundation Chile. Espejo de Tarapacá will be located 100km south of Iquique. Espejo de Tarapacá will be constructed in the Atacama Desert, on a high coastal cliff off the Pacific Ocean. Image courtesy of Aaron Bornstein. Espejo de Tarapacá (EdT), also known as The Mirror of Tarapaca, is a 300MW pumped-storage hydroelectric power project being developed by Chilean renewable energy company Valhalla in partnership with Fundación Chile (FCh). Situated in the coastal area of Caleta San Marcos, 100km south of Iquique, it will be the first Chilean hydropower plant to use solar power to perform operations. The plant will work in combination with the world’s biggest photovoltaic solar plant, Cielos de Tarapacá, which is a 600MW photovoltaic solar plant being built in Pintados, to create the world’s first large-scale integrated renewable power generation system by 2020. 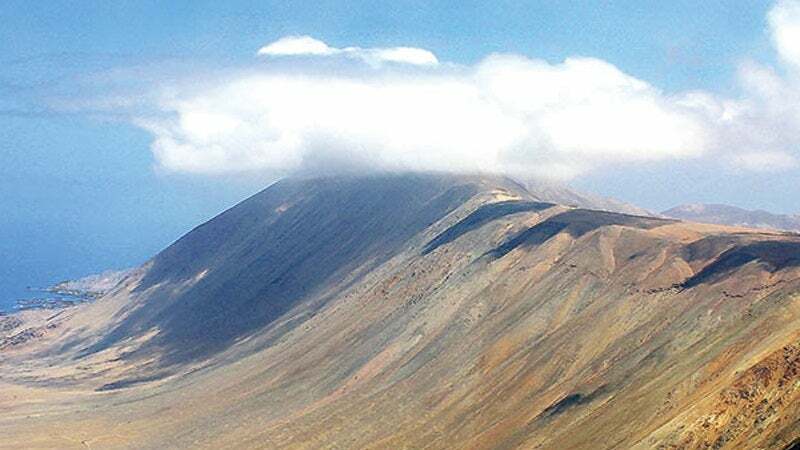 "Situated in the coastal area of Caleta San Marcos, 100km south of Iquique, it will be the first Chilean hydropower plant to use solar power to perform operations." An environmental assessment has been performed by Valhalla and the environmental impact study (EIA) for the project has been approved. Due to the use of natural resources for storage and operation, the plant will prove to be a cost-efficient and environment-friendly electricity generation alternative with zero carbon emissions. The company is yet to sign a power purchase agreement (PPA) for the power plant. The initial construction of the $400m hydroelectric power project is scheduled to begin in the second half of 2016. The construction will be managed by approximately 750 people a shift and take approximately 3.5 years to complete. The pumped storage hydroelectric power plant is being constructed in the Atacama Desert area, which receives just 15mm of rain a year with regions where zero rainfall has been detected. On the other hand, the desert has high potential for solar power generation as it receives solar radiance of 2,500KWh per square metre each year. The plant will be built on a high coastal cliff located in close proximity to the Pacific Ocean, which includes concaves. The presence of concaves makes the region ideal for sea water storage. The project will span across an area equivalent to 500 soccer fields and will have a capacity to store more than 14 trillion gallons of water, which is equivalent to the volume of 22,000 Olympic pools. A 16km-long access road, a water treatment plant and a 65km-long high voltage line will be built as a part of the project. Further, a temporary patio for industrial waste and a cellar for storage will also be built. The power plant will be equipped with three reversible turbines, each producing 100MW of power. During day, the hydraulic pumping station will lift the seawater into reservoirs using solar energy from Cielos de Tarapacá, while the seawater will be released through the tunnels to produce electricity during night. In daytime, the plant will pump seawater at a rate of 45m³ a second, whereas the flow during night will be at 28m³ a second. A 5.5km-long network of tunnels with 16m diameter and a height of 5m will be constructed 45m below sea level, for transferring sea water from the ocean to the plant. The tunnels will be protected with concrete or stainless-steel lining in order to prevent corrosion caused by untreated seawater.